Read our today's Current Affairs Updates for 25th May 2018. We have pointed out some Important News from the Latest Updates Headlines. Here are some: Cabinet approves MoU between India, France in renewable energy, Prime Minister Narendra Modi chairs 26th Pragati interaction, MobiKwik Launches UPI Services, Paytm AshaKiran aimed at educating rural women and others. These are all vital news from which you can get questions in your examinations such as IBPS PO, IBPS CLERK, SSC CGL, SSC CHSL and Railway Examinations. 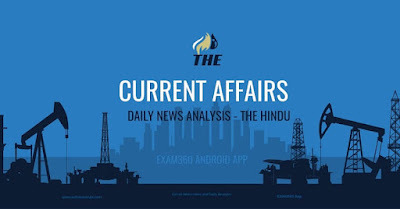 ALso do go through the Daily Current Affairs Quiz and Static GK and Note Down Points. India has moved one notch higher, to the 44th place in terms of competitiveness, in the annual rankings compiled by International Institute for Management Development (IMD) which placed the US in the top slot. The US became the most competitive economy globally driven by its strength in economic performance and infrastructure, followed by Hong Kong and Singapore in the second and third place, respectively. The Election Commission will launch a multi-lingual mobile application empowering people across the country to share evidence of malpractice by political parties, their candidates and activists ahead of the 2019 Lok Sabha polls, directly with the electoral body. Chief Election Commissioner O.P. Rawat told that an application, called Model Code of Conduct Violation Reporting App, was made available for the first time in Bengaluru in the run-up to the recently concluded Karnataka Assembly polls. According to legend, the rock 'Jatayupara', where the structure is based, is the place where the mythical bird 'Jatayu' fell after its wings were slain by Ravana. On Netherlands Prime Minister Mark Rutte's agenda is a bilateral summit with PM Modi and a visit to ISRO among the other things. Rutte's visit is expected to boost the economic and political cooperation between India and The Netherlands. The Pentagon disinvited China from participating in a major naval exercise, signaling mounting U.S. anger over Beijing’s expanded military footprint in disputed areas of the South China Sea. India and Nepal's joint military exercise Surya Kiran-XIII will be held at Uttarakhand's Pithoragarh district from May 30 to June 12. The exercise would comprise of nearly 300 soldiers from both Nepali and Indian armies who would share their respective experiences of counter-insurgency and counter-terrorism operations. A 2-day offshore security exercise, code named 'Exercise Prasthan', conducted by the Eastern Naval Command on offshore rigs in the KG Basin and Ravva area located in the Krishna Godavari Basin, 25 nm South West of Kakinada, concluded on 02 November 2016. The exercise was aimed to evaluate surveillance capabilities of offshore rigs against unaltered intruders approaching by boat/ swimming and to evaluate capabilities of security agencies in patrolling to prevent intruders from accessing offshore rigs. The exercise also prepared all agencies in handling a crisis situation developing in the Offshore Development Area. Bollywood actor Sushant Singh Rajput has been roped in to promote two major initiatives of the NITI Aayog - promotion of BHIM and the Women Entrepreneurship Platform. Mobiwik announced the launch of Unified Payments Interface (UPI) on its platform via its own virtual payment address (VPA) handle @ikwik. Paytm Payments Bank announced a programme Paytm AshaKiran aimed at educating rural women about financial services. ABB India and Niti Aayog inked a pact to help the country reap the benefits of latest technologies including robotics and artificial intelligence. The two institutions signed a Statement of Intent (SoI) to work together in preparing key sectors of the economy for digitalisation, artificial intelligence (AI) robotics, and industrial automation. The Union Cabinet chaired by Prime Minister Narendra Modi has given its ex-post facto approval to the Memorandum of Understanding (MoU) between India and Denmark regarding cooperation in the area of food safety. It will help deepen bilateral ties, mutual understanding and trust, eventually strengthening both sides in their capacity building efforts towards food safety. Both sides aim to identify research/demonstration/pilot project between National Institute of Solar Energy (NISE), India and Commissariat aI'Energie Atomique et aux Energies Alternatives (CEA), France in the mutually identified areas. The Cabinet under the leadership of Prime Minister Narendra Modi also discussed a number of other issues besides financial matters. The mega event, consisting five expos is being held with a vision to help develop attractive and safe cities that evoke pride, passion and a sense of belonging among citizens. The five expos are, Building India Expo, Solar India Expo, Transport India Expo, Smart Cities India Expo and Water India Expo. A four-member Indian delegation led by a Joint Secretary is among those attending the anti-terrorism conference. This announcement comes after India stalled the holding of SAARC summit in Pakistan as it felt that the environment was not "conducive". The Union Minister for Women and Child Development, Maneka Gandhi presented the prestigious Nari Shakti Puraskar 2017 to the members of the INSV Tarini team in New Delhi on May 24, 2018. The all-women team comprised six members including Lt Commander Vartika Joshi, Lt Commander Pratibha Jamwal, Lt Commander Swathi Patarpalli, Lt Aishwarya Bodapatti, Lt SH Vijaya Devi and Lt Payal Gupta.